Filmed in 2016 in Tarrazu, Costa Rica. An early video we made in 2009! These days we prefer the phin style with gravity insert over the screwdown, but this is personal preference. Lone fisherman rows his "basket" boat out to deeper water to cast his nets. Filmed by Mike Rosenthal. JAZ Improv Coffees : What's the Deal? If the items in your cart total $50 or above when you check out, you will receive a discount. Shipping Discounts are calculated during the last step of checkout. Until then, shipping will be displayed at the regular price. But don't worry, you will see the discount before you pay. 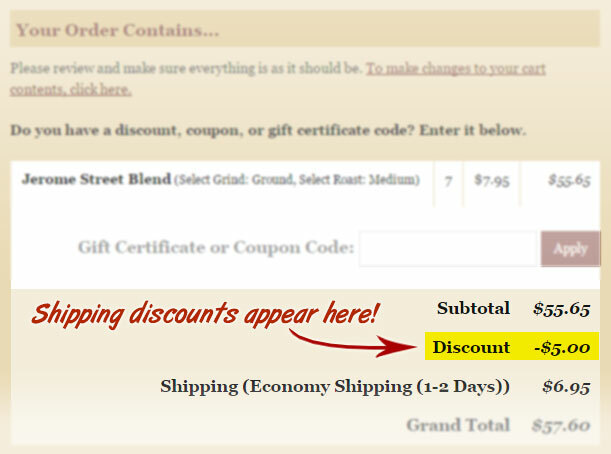 On the last step of checkout, after you have entered your shipping address but before you make a payment, you will see the discount displayed in your Order Summary. An example screenshot is shown below. There is no other terroir in the world similar to the unique microclimate of Poços de Caldas, which is angled perfectly toward the sun. Poços de Caldas receives sharply divided day and night periods that begin with early morning sun full-on till 4 pm. The soil is enriched by volcanic minerals and rainforest humus. Learn more and browse Brazilian Volcano Coffees here. via a premium GeoTrust security certificate. Get the latest coffee news & exclusive sales. We respect your inbox and never share your address. Copyright 2019 Len's Coffee LLC, All rights reserved.